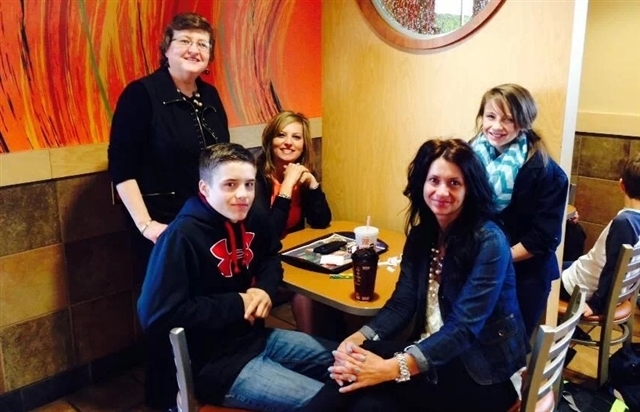 Rayville United Methodist Church in the Monroe District is using social media to reach out to area youth in building attendance for a weekly breakfast at the town’s McDonald’s restaurant. “When we started in September, we attracted about 10 youth and four adults. But through the use of Facebook and personal invitations, the average number of youth has risen to 40—and we have exceeded 50 in attendance,” said Rev. Darryl Tate, pastor. The gatherings are held on Thursday mornings from 6:45-7:40 a.m. Church youth have been inviting their peers to attend the meetings, which include breakfast, prayer and a devotion. Over a period of eight months, the ministry has grown to reach four communities and four schools, both public and private. 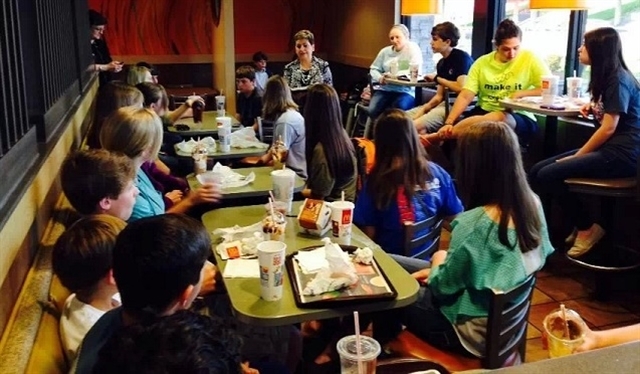 “Every person that walks into McDonald’s on Thursdays can see the impact of this ministry, and watch the love of God lived out in a warm and graceful way. As John Wesley encouraged us, Rayville UMC is living out the statement, ‘The world is my parish,’” said Rev. Tate.